Well, if anything, its a gorgeous Saturday morning here in Beach Haven. While its a cool 27 degrees, there is only a slight wind NNW at 8mph so its not too bad. Still hearing of a few shorts off the surf, but nothing weighed in yesterday. 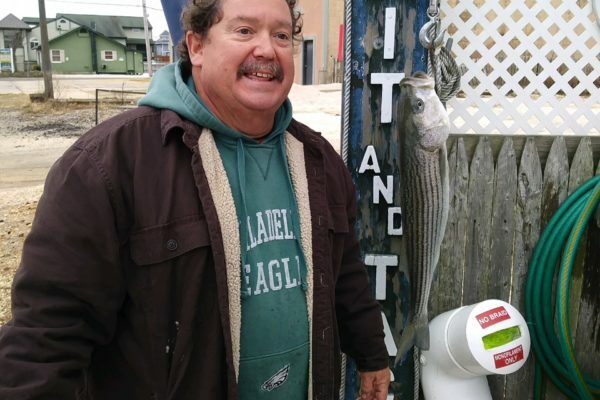 Tony came in this morning and says there a lot of fish up there today – the biggest he got was 24″, but he said he caught at least 30, using small metals. There has to be some that are over 28″. There are two days left for the LBI Classic and our In-Store tournament so get out there and win some money! Our store tournament ends tomorrow at 3pm. Things have quieted down around here but there is some holiday hub-bub at Bay Village today! Cookie Wars! So if you are not fishing go on down and enjoy some cookies and holiday sales!